Each year, after Mayor Roger Claar delivers his state of the village address, we invite Bolingbrook’s opposition parties to respond. This year The Roger Claar Party, The Anonymous Party, and Hemp for Bolingbrook Party accepted our invitations. Note: Claar is not affiliated with this party, and has denounced the party in the past. Wow! It blows our minds to realize that this is Roger’s final election. The man who rebuilt Bolingbrook will take his final bow in April. We owe our homes, our jobs, and our livelihoods to Roger. What better way to show our appreciation than to vote for him in April? The only question is, how do we vote for Roger? 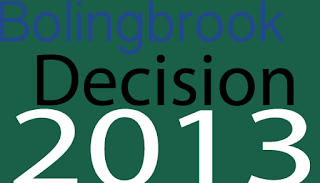 Do we vote for the so-called First Party for Bolingbrook? A party that hasn’t updated it’s web site in two years? A party who’s candidates can’t be bothered to defend Roger when he is attacked in the comments section of Bolingbrook Patch? Instead, why not a political party that fights everyday to tell the world that it fully supports Roger Claar. Elect us, and we’ll not only vote for him, we’ll fight his enemies on and offline! We’ll keep his web sites updated, and we’ll let the world know that Bolingbrook has the greatest mayor ever! Roger deserves the best board of trustees for his final term in office! Help make that happen by voting for the only party that is proud to use his name! The Anonymous Party: Expect us to win! Greetings Roger Claar. We are Anonymous. We are faceless and we are powerful. You have gone too far with your proposed Internet sales tax. If the 99 percent want to pay Bolingbrook sales taxes, they would shop in Bolingbrook. The Internet is its own country, and your tax is an act of war! While you are not evil, you are annoying, and you must be stopped! On February 7, five brave souls will file to run as write-in candidates. While you spend your campaign fund on cell phones, meals, gasoline, and charitable donations, we’ll be using the Internet to get out the vote for our courageous candidates. Bonnie may have tried to use the Internet against you, but we are the Internet! Today you expect an easy victory, but tomorrow, know that Anonymous is campaigning against you. We will only use legal tactics and real voters against you because Bolingbrook is ready for change. For once, we will work within the law to start the revolution. On April 9, the mainstream media will call our action an electoral upset. We will think of it as a denial of elected office attack. The result will be the same. We will win. You will lose. We are Anonymous. We are Legion. We do not forgive. We do not forget. Expect us to defeat you at the ballot box. Hemp for Bolingbrook Party: Legalize it! I don’t know about you, but I really don’t care for the all the empty storefronts in Bolingbrook. Roger says that 7.5 percent of our retail spaces are empty. According to comments in Bolingbrook Patch, former candidate Rhonda Reed-Slaughter wants to turn these commercial properties into parks or other kinds of non-revenue generating property. Roger wants to keep them empty hoping that one day retail stores will come back. My friends, there is a third option. One that allows us to clear out these eyesores and still generates revenue. We can use these spaces to grow hemp! Some might say that growing hemp would send the wrong message to our children. After all, it is related to cannabis, and we don’t want our children getting stoned and listening to rap music. We say nonsense! All plants are related, and we’re not going to ban all plants because they’re related to Cannabis. Besides, if they tried to smoke cannabis, they wouldn’t get high. Then they wouldn’t go looking for cannabis We’d solve the local drug problem! That’s not all hemp can do. We use hemp to make food, paper, fabrics, and fuel. Hemp farming can actually take carbon dioxide out of the atmosphere! That’s means it can fight global warming! Imagine if you will, retail and Internet stores filled with products made from Bolingbrook hemp! Far out, isn’t it! By taking Bolingbrook back to its agricultural roots, we generate all the money we need to run Bolingbrook. Instead of cutting funding for government programs, we’d be increasing their budgets! Sure we have to deal with slight problem of getting DEA approval before growing any hemp. Fortunately, President Obama is from Illinois, and I’m sure he’d want to help us out! So instead of taxing online sales to Bolingbrook residents, residents should be supplying the online stores with hemp! Lets legalize hemp production in Bolingbrook!